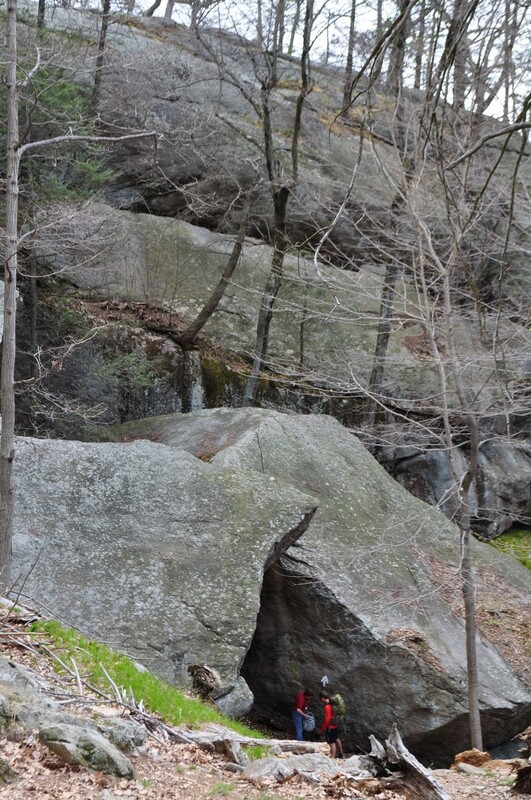 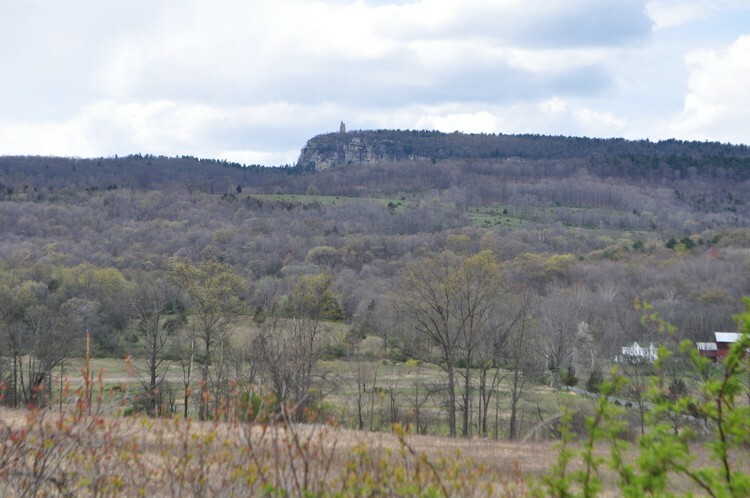 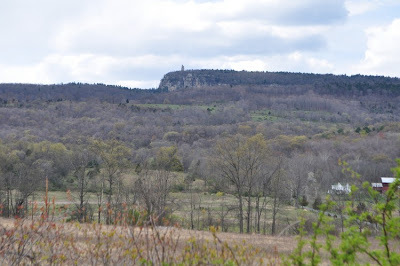 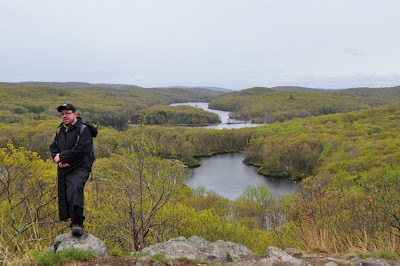 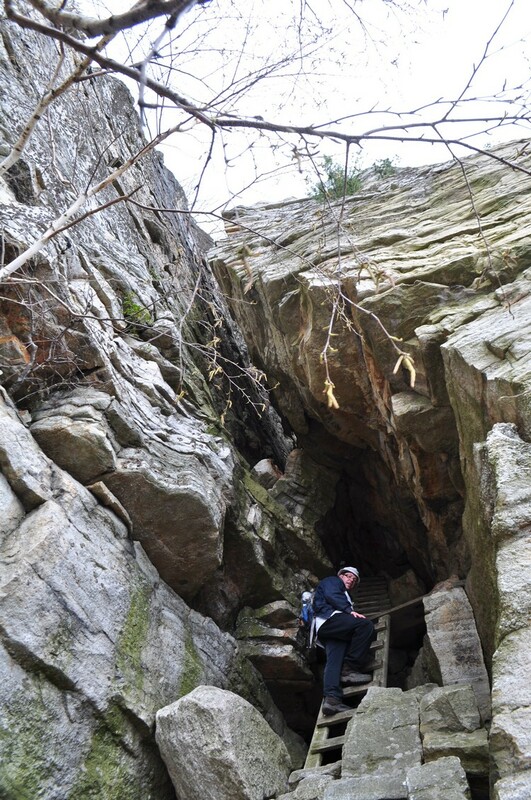 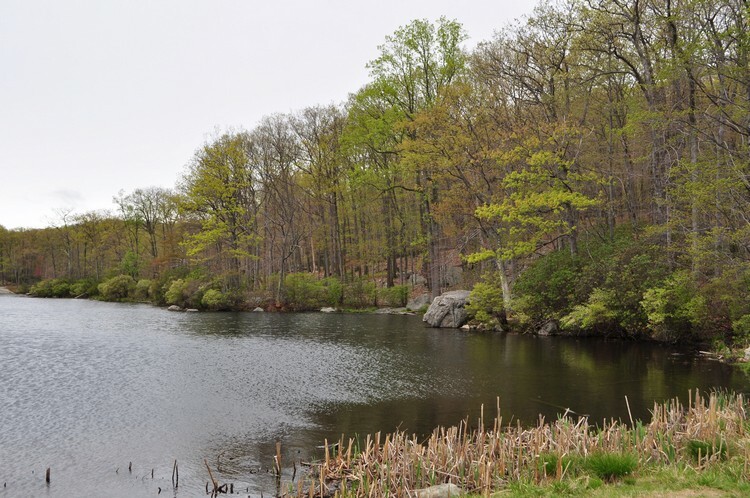 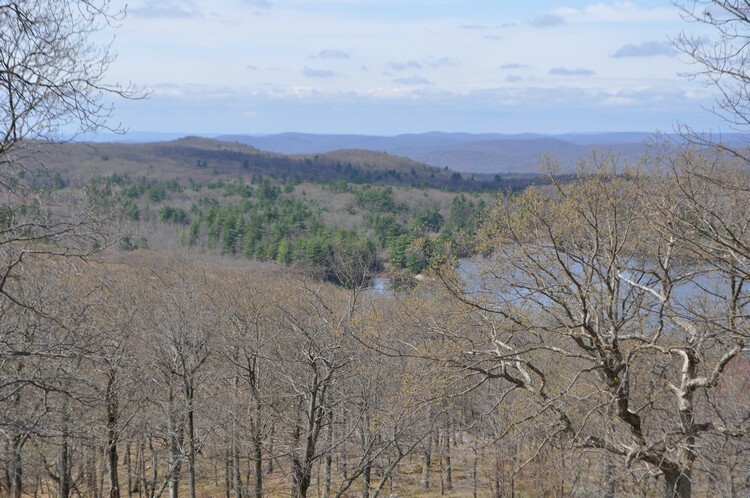 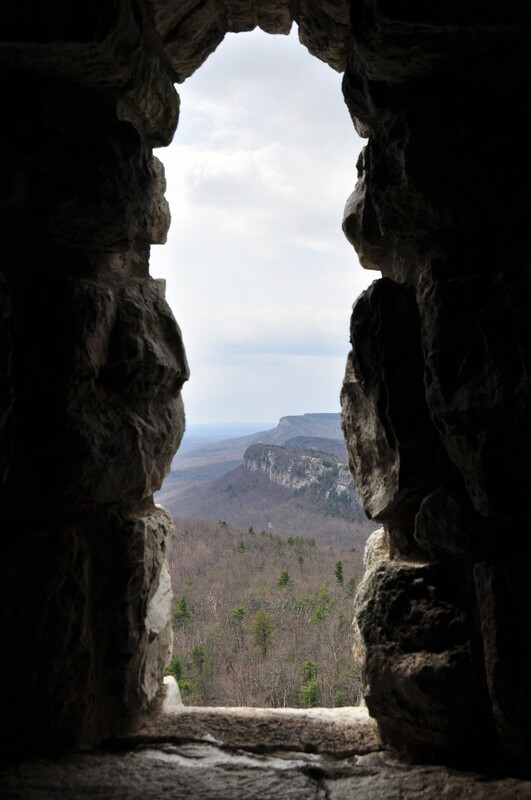 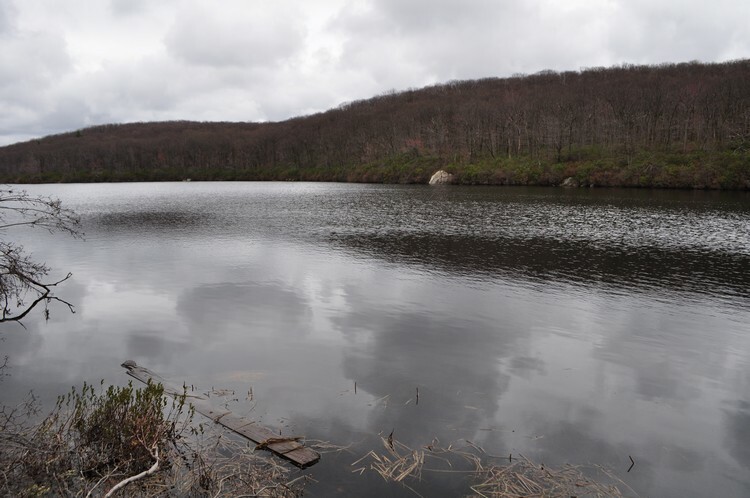 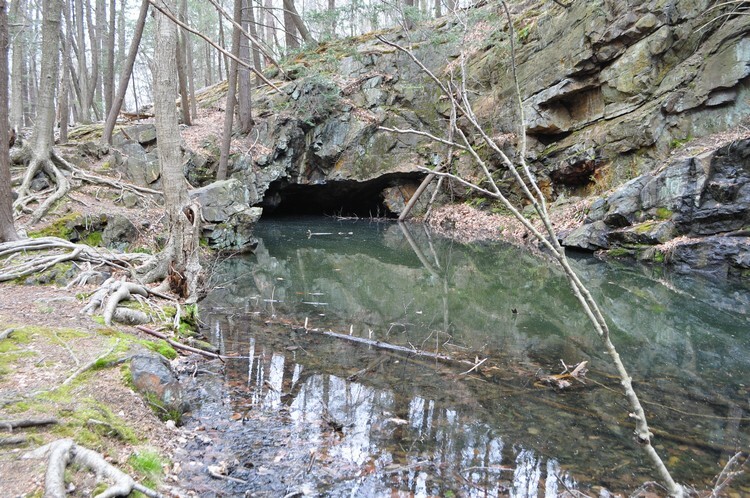 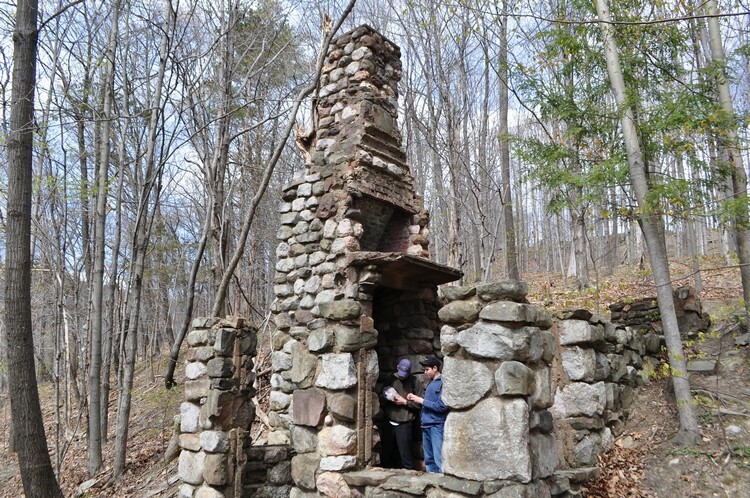 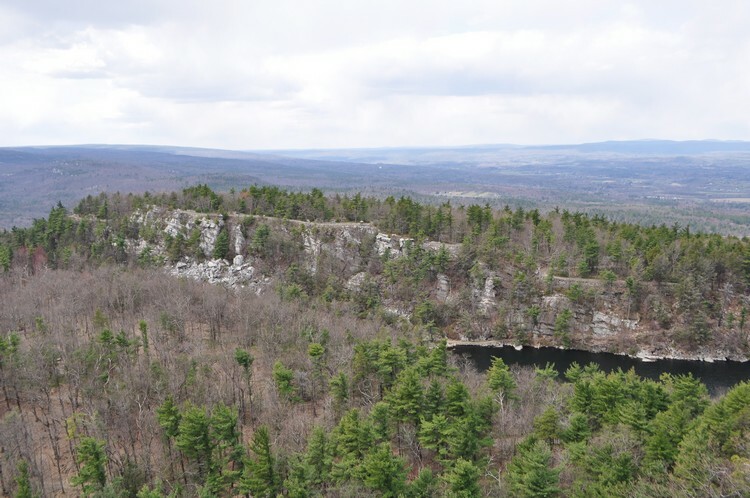 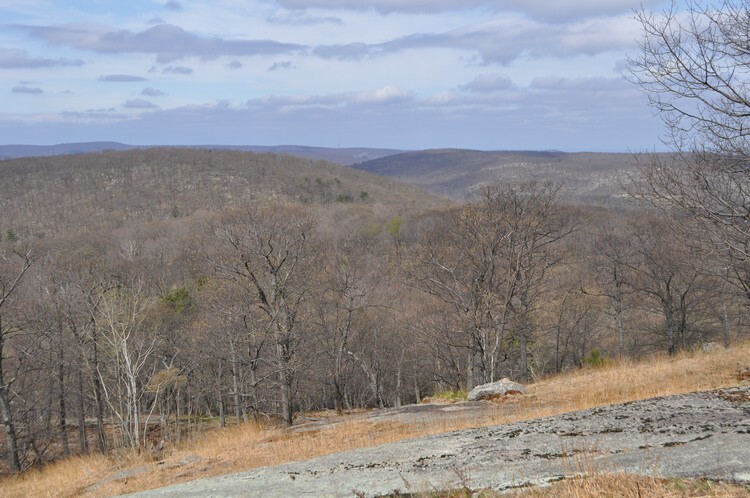 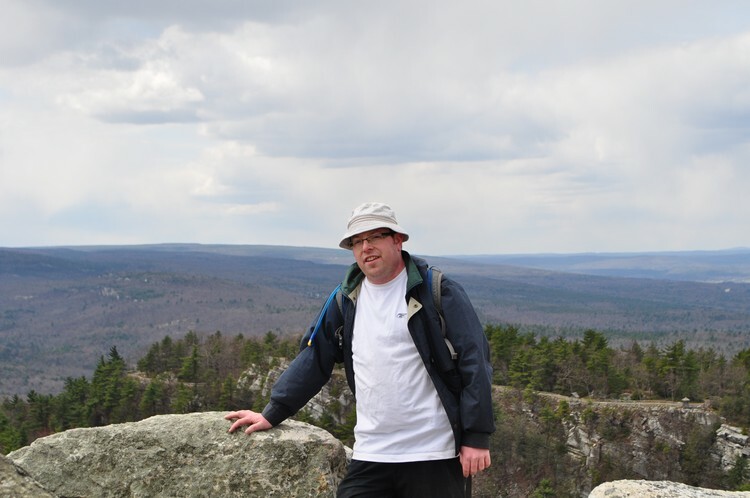 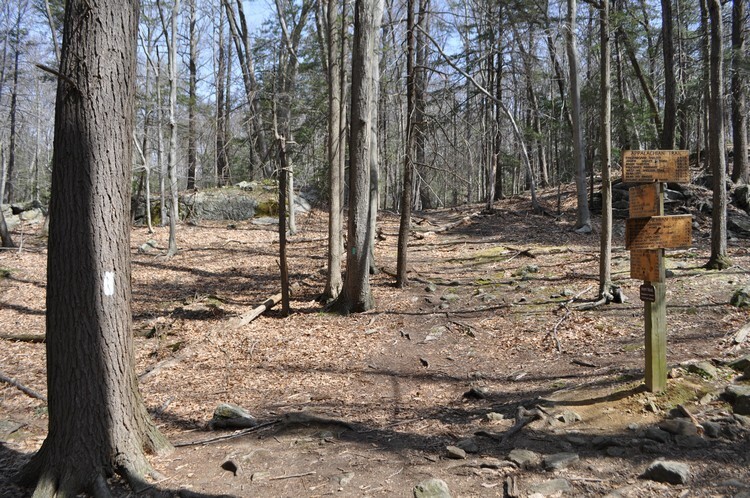 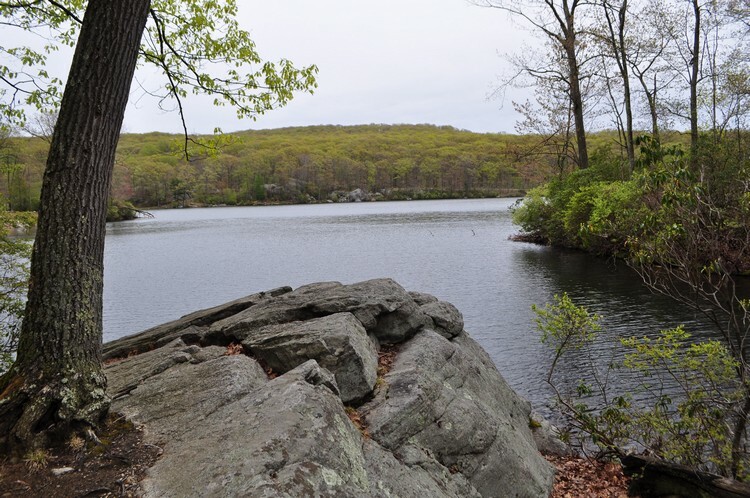 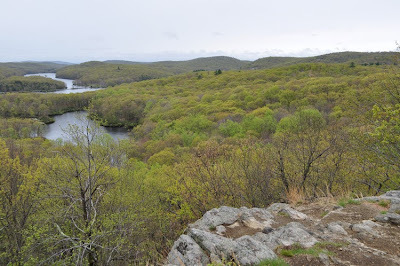 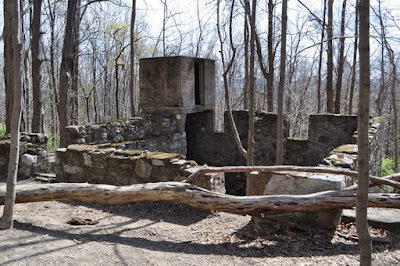 This is one of the best, all-around hikes in Harriman state Park. 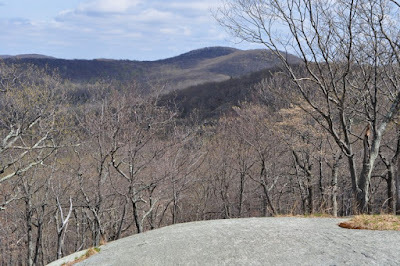 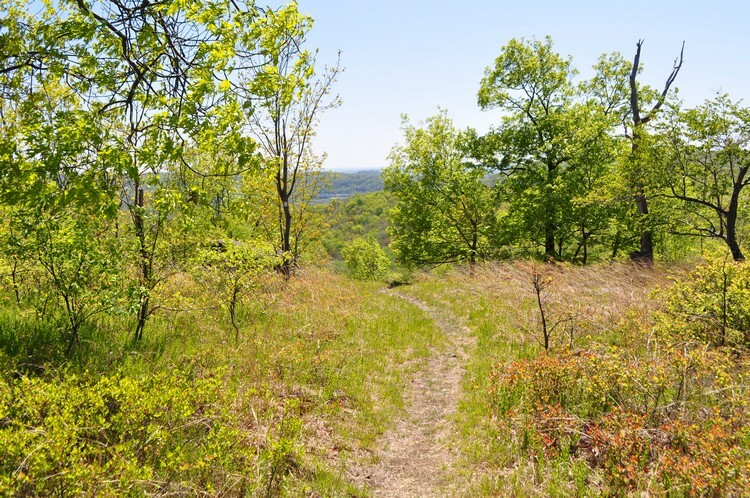 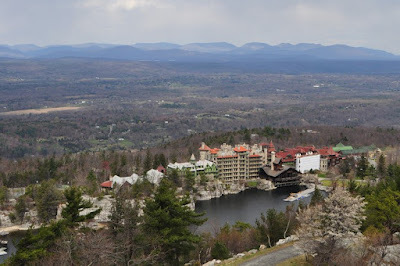 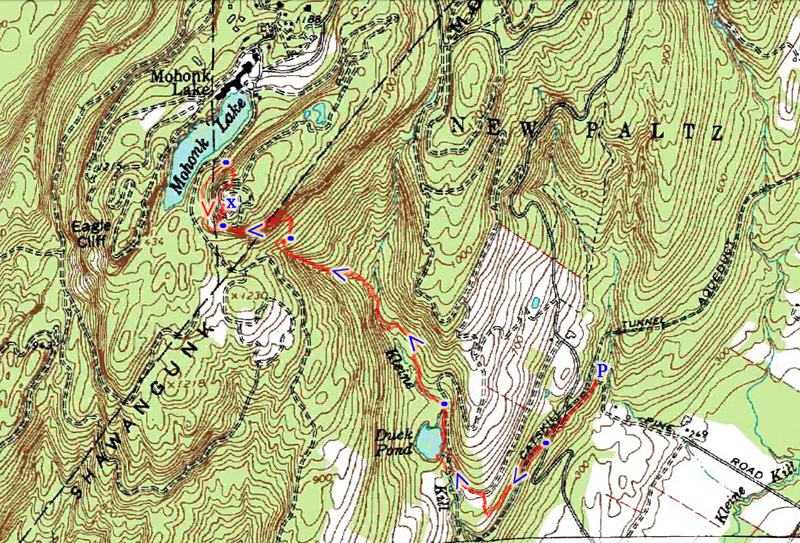 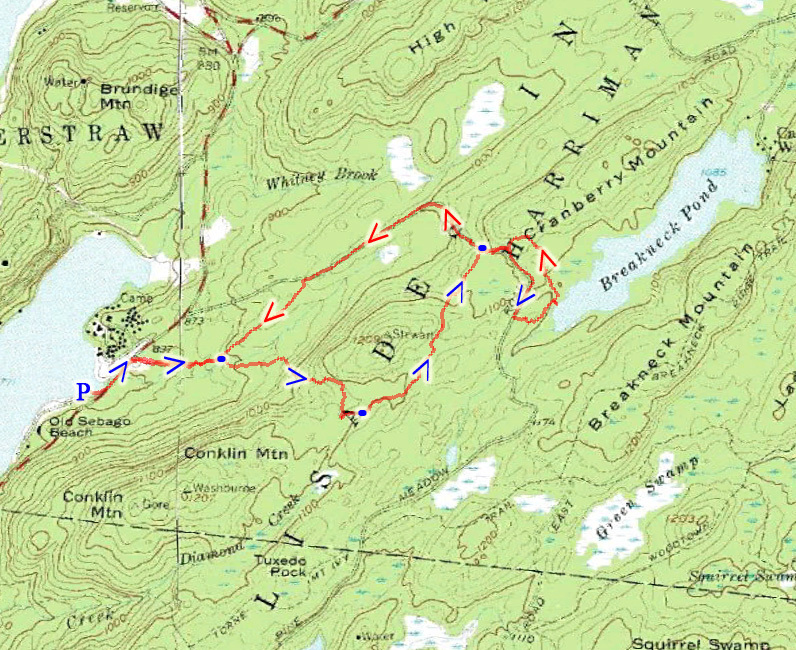 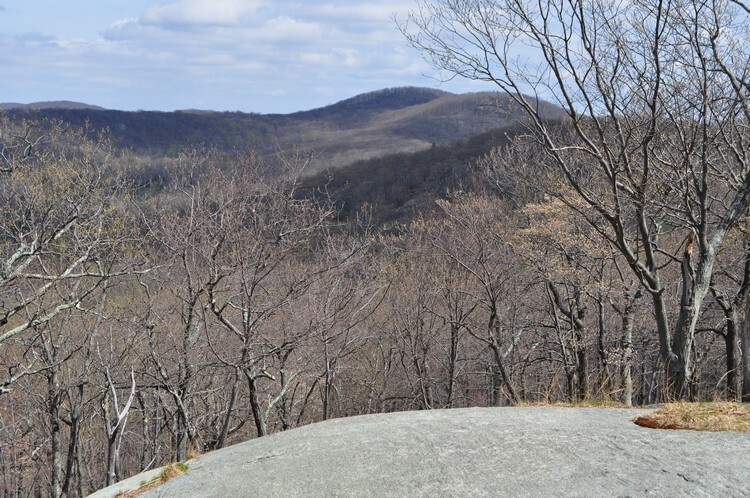 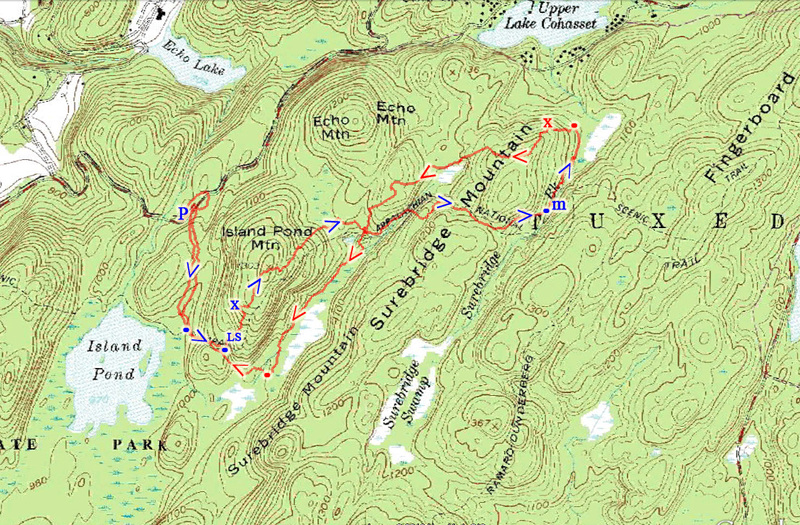 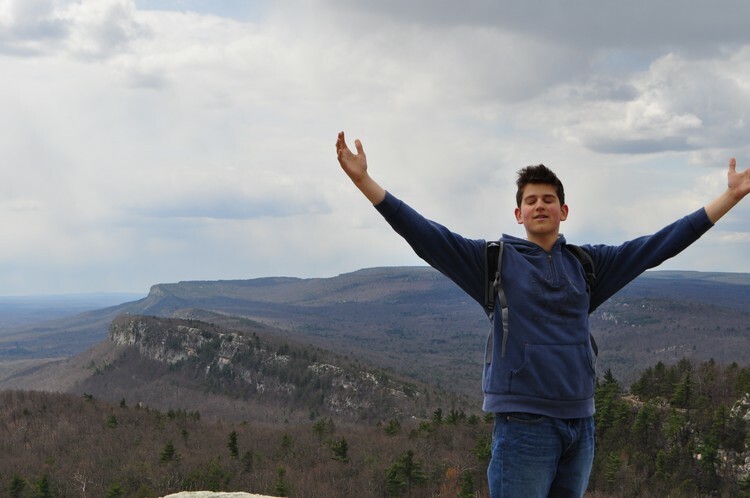 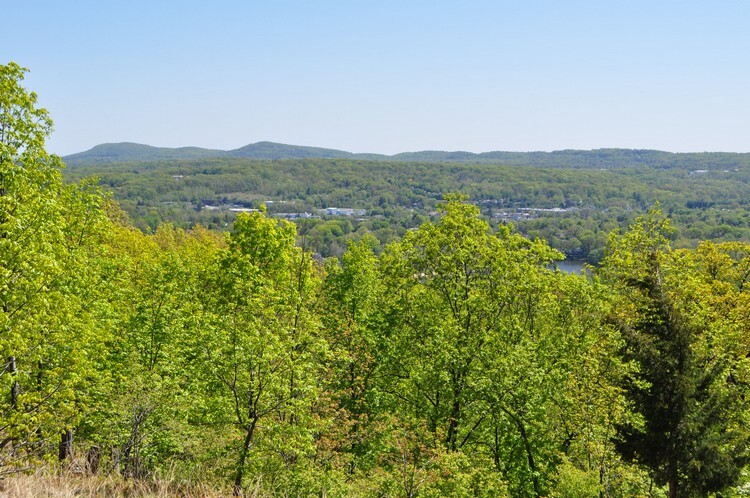 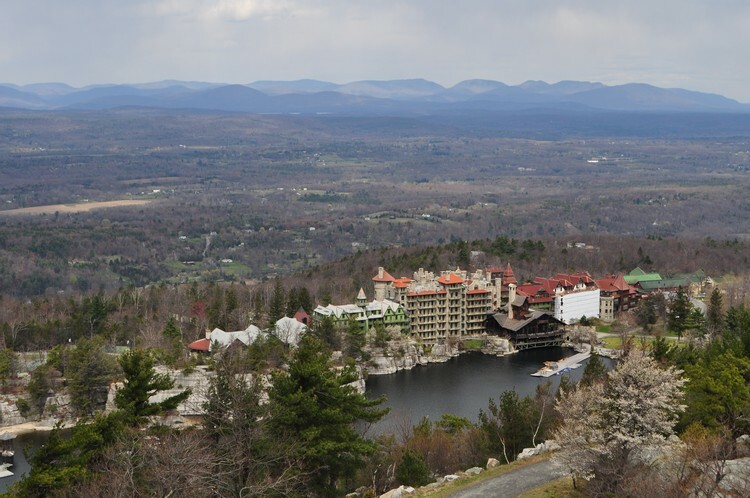 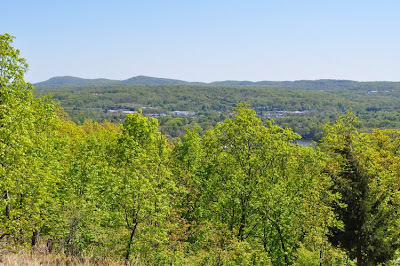 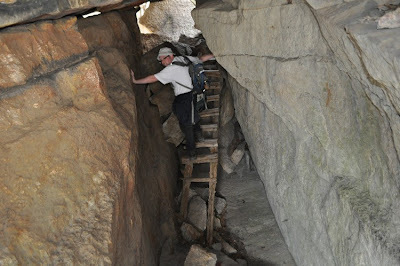 It features all the best features of Harriman combined into one amazing hike! I parked the car on Arden Valley Road on the side of the road several hundred feet to the gated road to Island Pond. 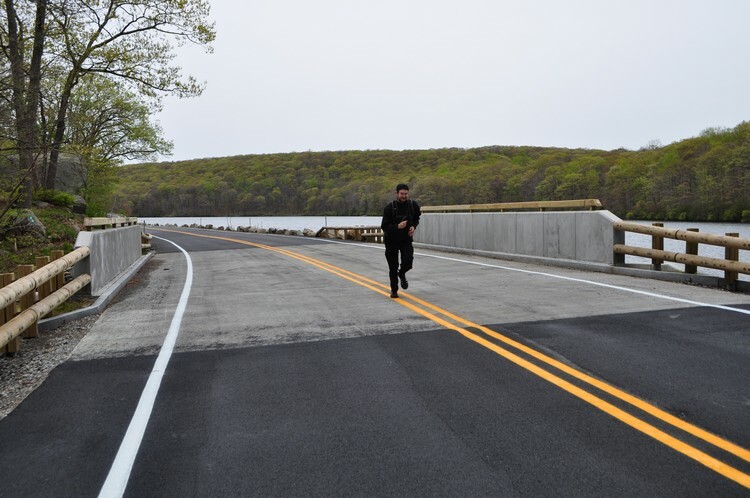 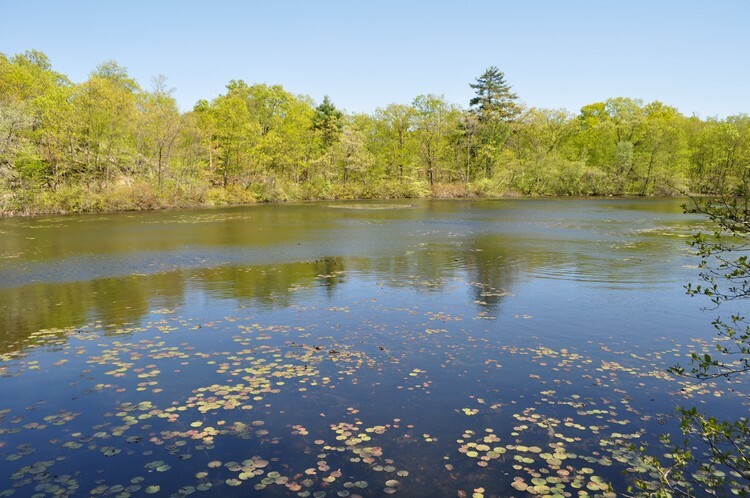 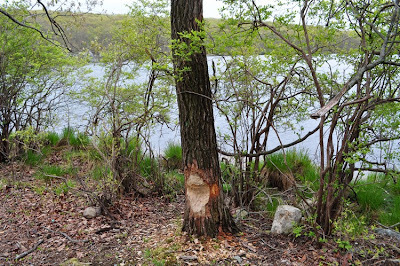 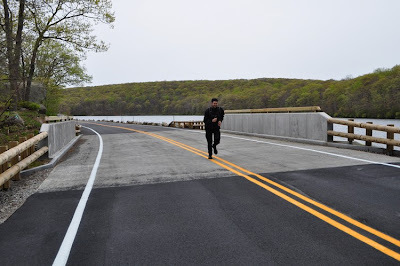 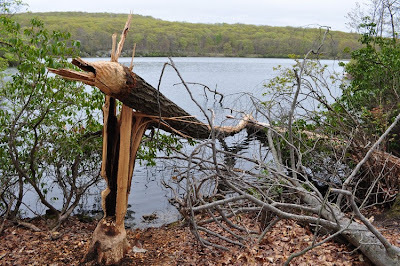 The road to Island Pond is locked and you can purchase a yearly pass from the State Park system, and this benefits mostly fisherman who want to go fishing in Island Pond. 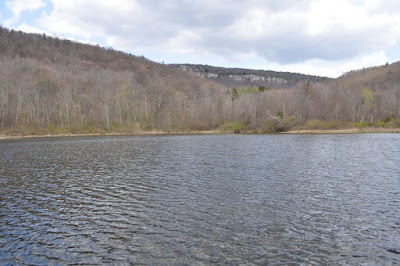 However, anyone can park on the pull-off on the side of the Arden Valley Road and hike to the pond. 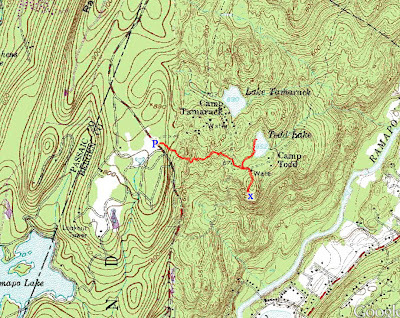 After parking, I crossed the street and cut into the Island Pond Road, which took me to the Appalachian Trail right near Island Pond. 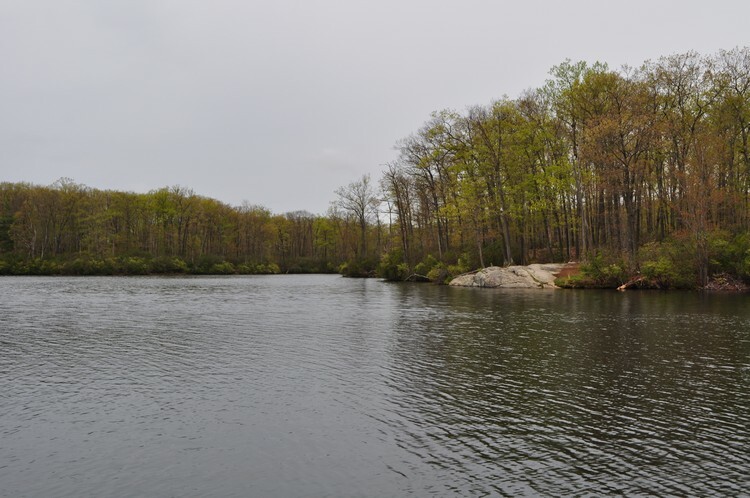 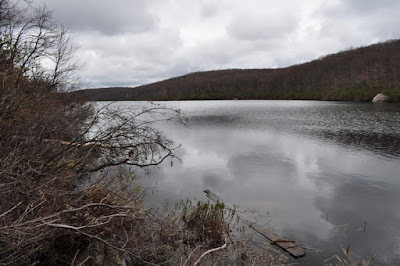 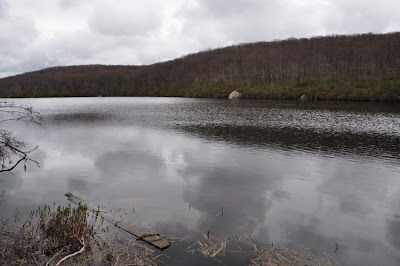 Island Pond is a unique lake in Harriman in that it is entirely natural and not dammed like all the other large lakes in Harriman. 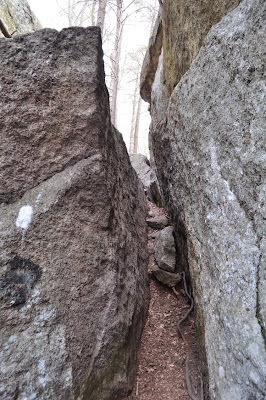 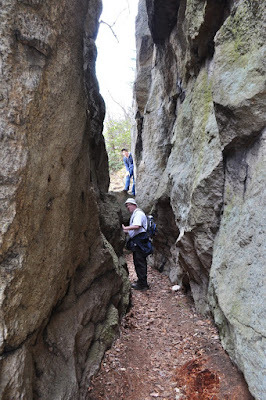 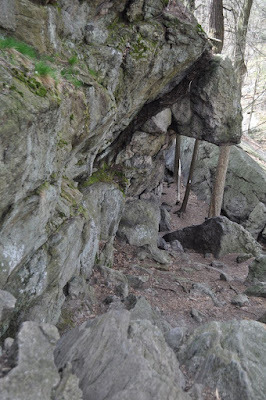 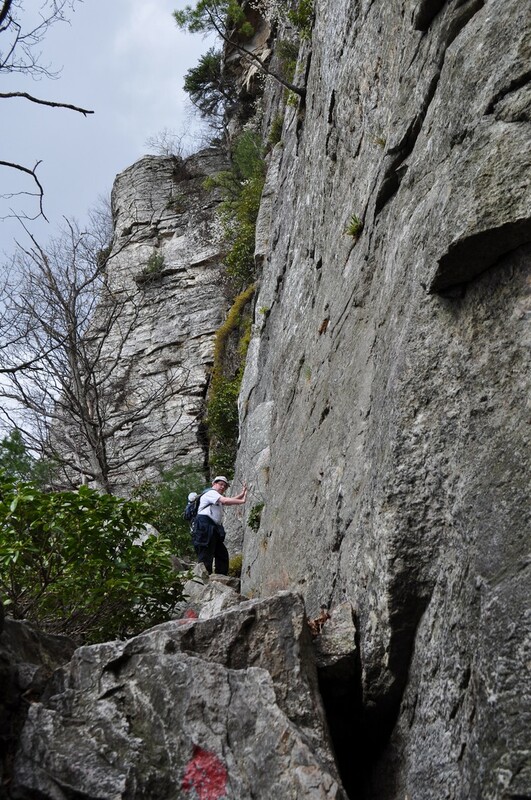 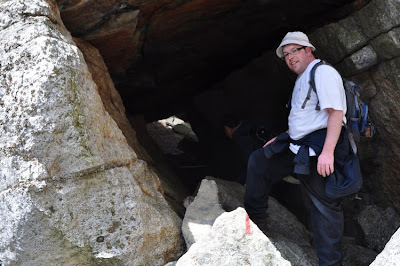 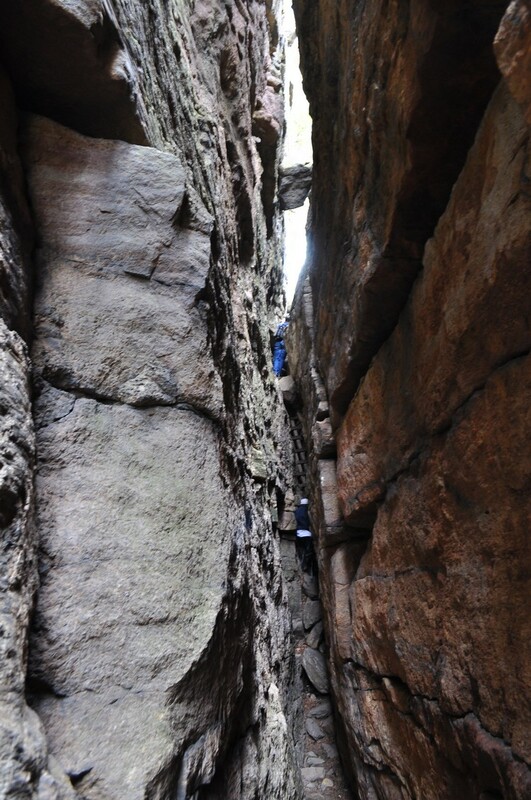 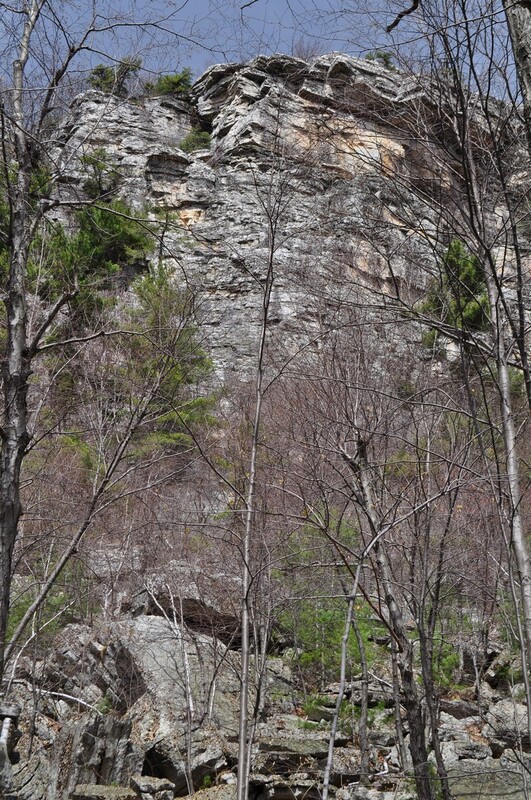 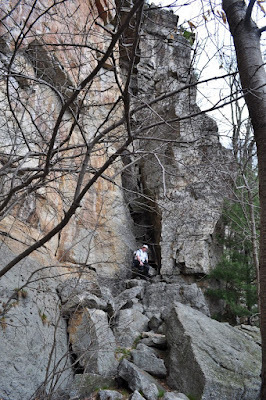 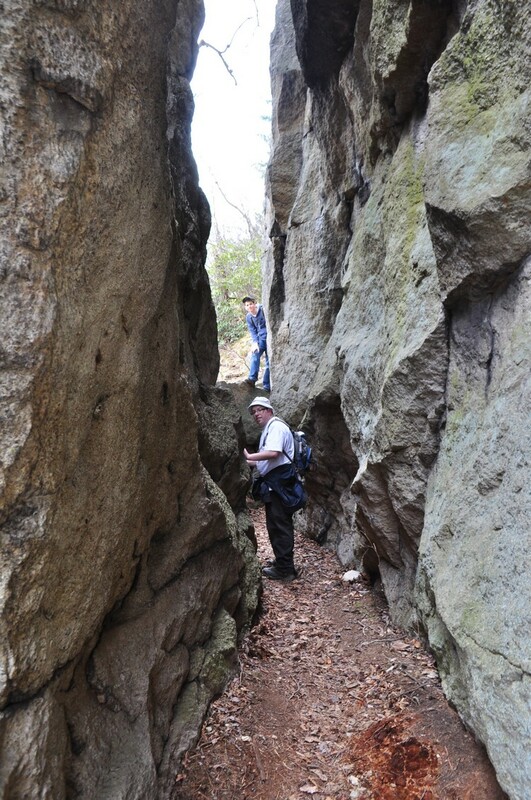 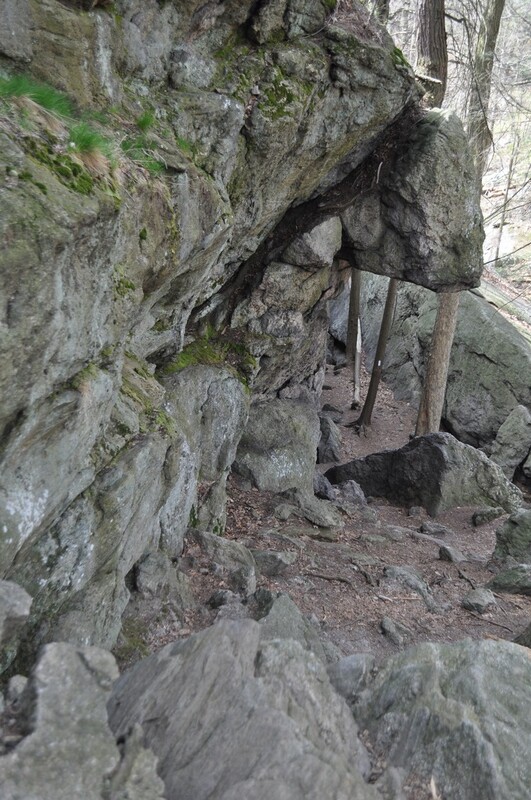 I took the Appalachian Trail to the Lemon Squeezer, which is an interesting rock formation where you climb through a narrow notch within the rock, and partially climb up the mountain this way. 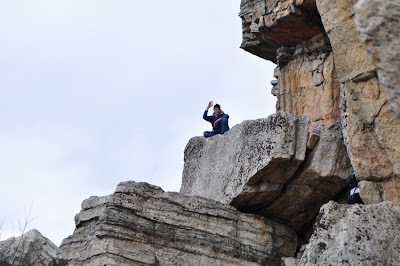 Once I got past the Lemon Squeezer, I continued climbing. 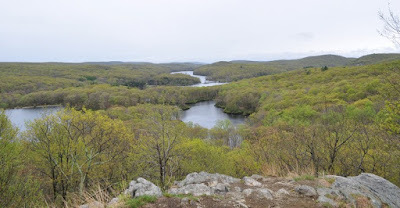 There is an excellent view right off the trail once you hit the top of the mountain (Island Pond Mountain), though you have to hike about 100 feet to the east off the trail and this view is not shown on any of the maps. 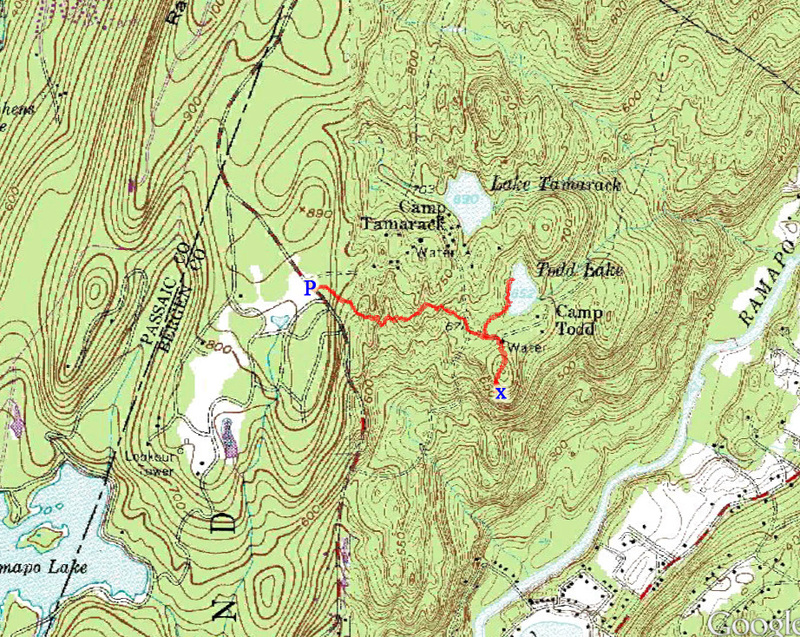 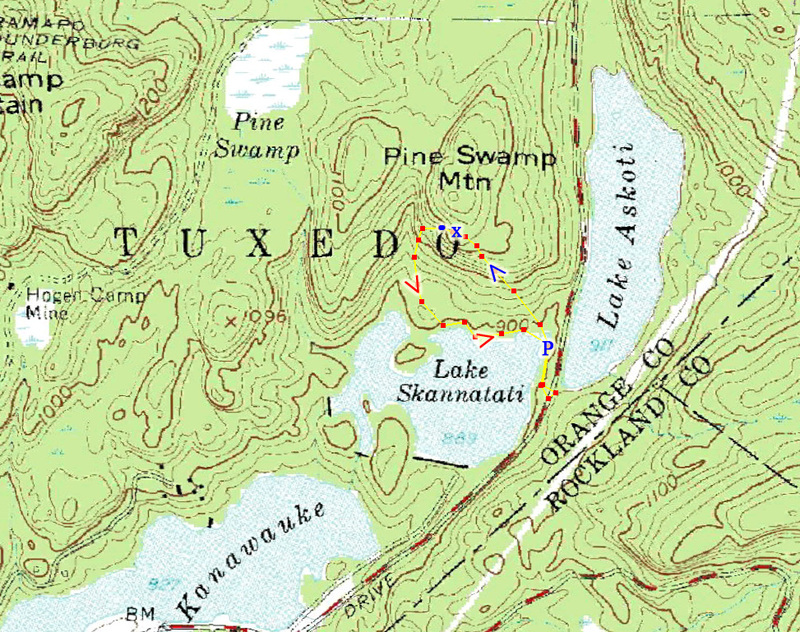 From the top of Island Pond Mountain started descending into the valley, where there is a well-marked intersection of two famous trails. 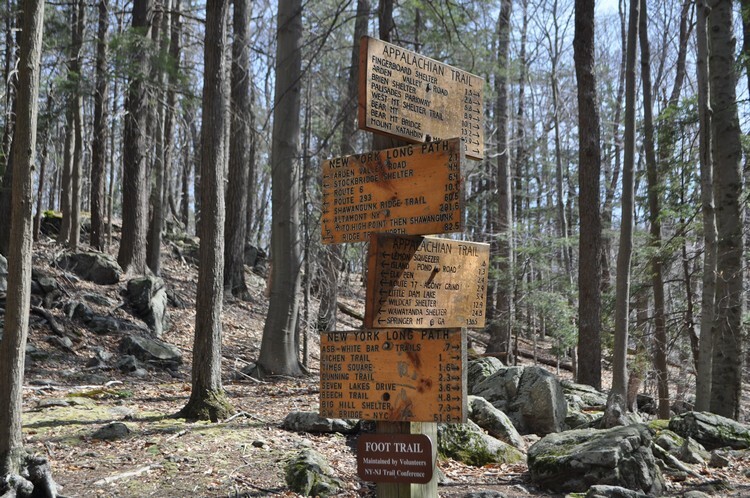 The Appalachian Trail is perhaps the world's most famous hiking trail, and the Long Path is the most famous trail in New York State. 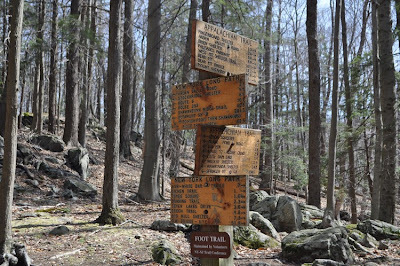 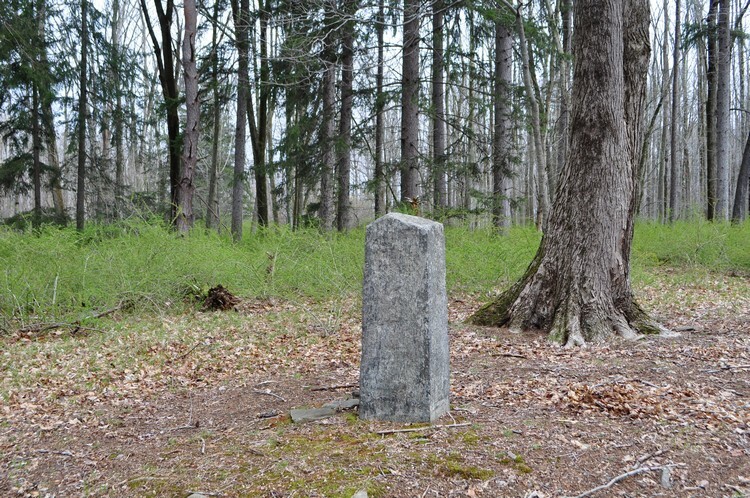 The intersection contains a marker showing the distances of the trail terminus's for each of these enormous trails. 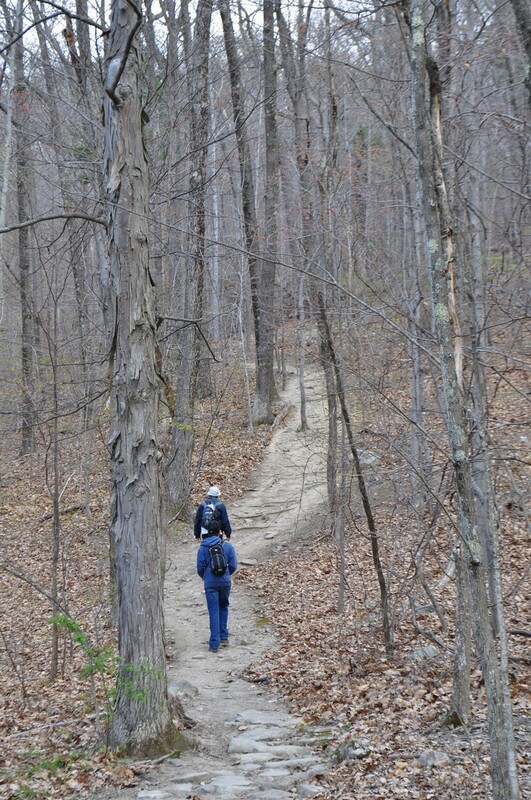 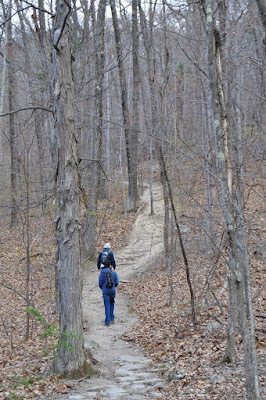 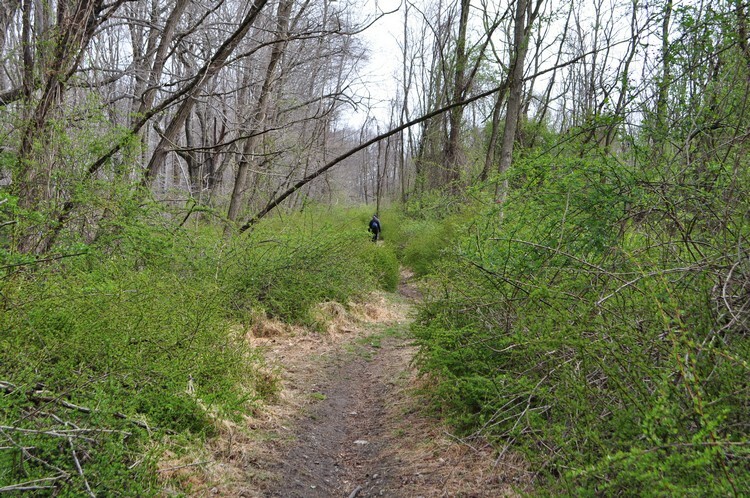 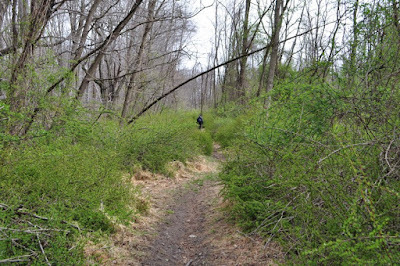 I continued along the Appalachian Trail and went along it as it descended towards the Greenwood Mine. 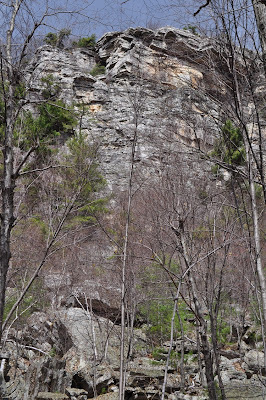 The Greenwood Mine is an old historical iron mine from the 1800's, and you can see the cuts in the mountain here as well as extensive dumps and mounds of rocks from the old mining operations. 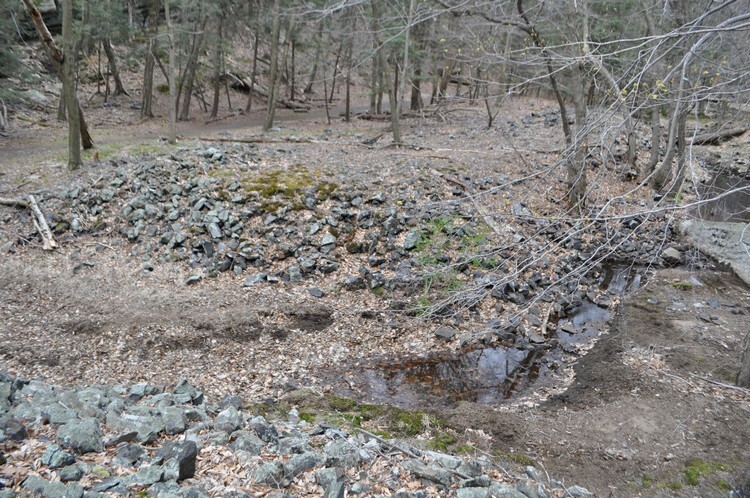 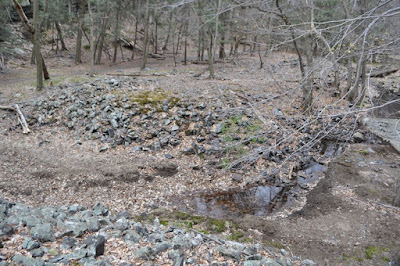 The Greenwood Mine contains the most extensive dumps of all the old iron mines in the park. 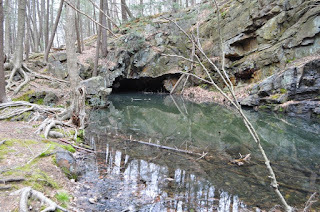 From the mine I veered off the trail onto the woods road that goes north from the mine parallel to the stream and along the side of a large swamp. 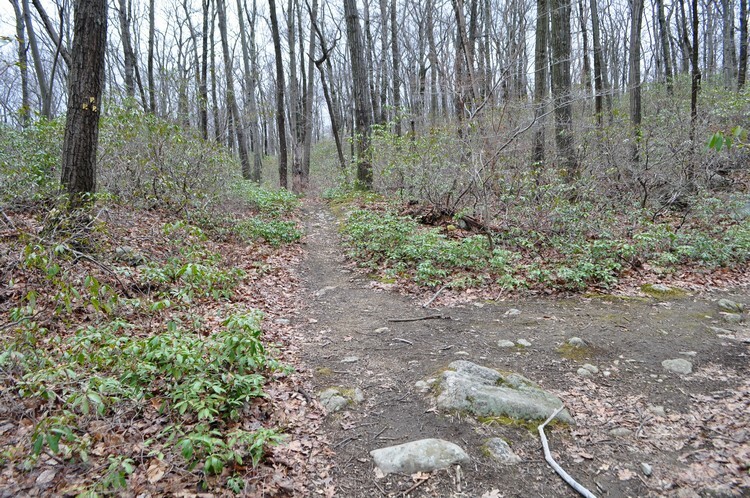 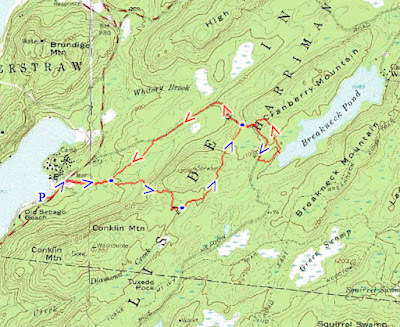 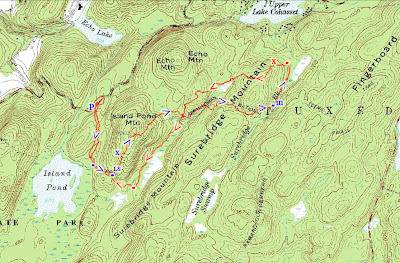 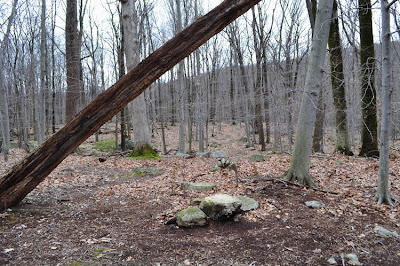 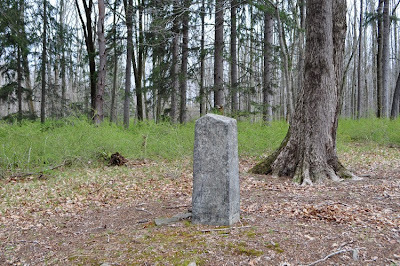 This meets up with the Long Path, and I veered south onto the Long Path up the mountain, past the shelter, and along back to the intersection of the Appalachian Trail. From there continued straight along the Long Path, which goes along the side of a large swamp, and took this to the Arden Surebrige Trail, which I turned on to return passed the Lemon Squeezer and then the same route back to my car. 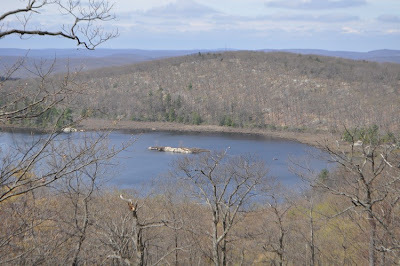 Island Pond from Island Pond Mountain. 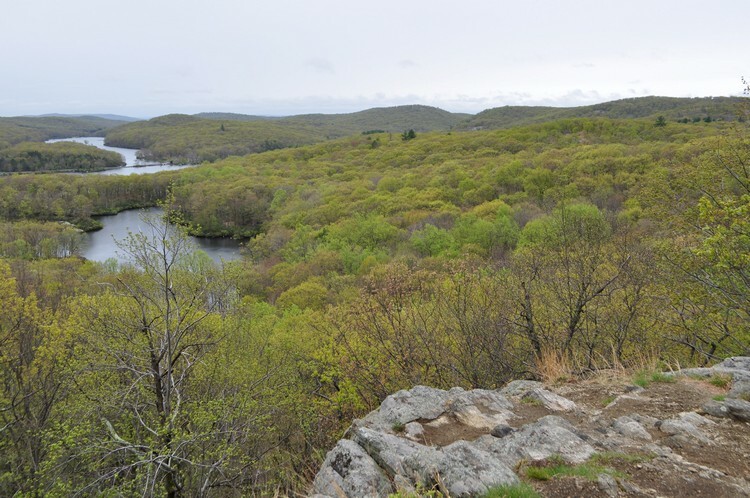 Another view atop Island Pond Mountain. Facing West. 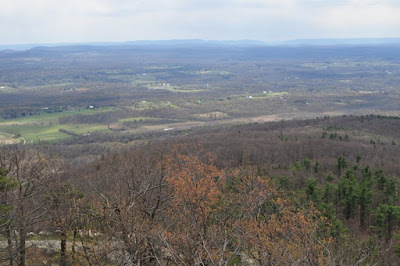 View from the Northern end of Surebridge Mountain. 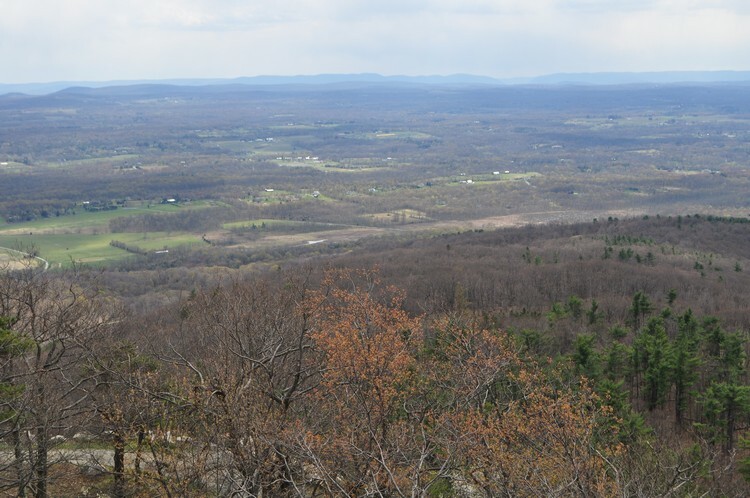 Facing north.